Actors from tvN’s newest drama, ‘My Mister,’ decide to step up to clarify the controversy regarding its content. On March 21, actors from ‘My Mister’ participated in a talk show through Naver V Live app. The guests included Lee Sun-gyun, IU (real name Lee Ji-eun), Park Jeong-hwan (also known as Park Ho-san), and Song Sae-byeok. The talk show happened before the 2nd episode of the drama aired, giving the actors a chance to clarify some things about the drama. 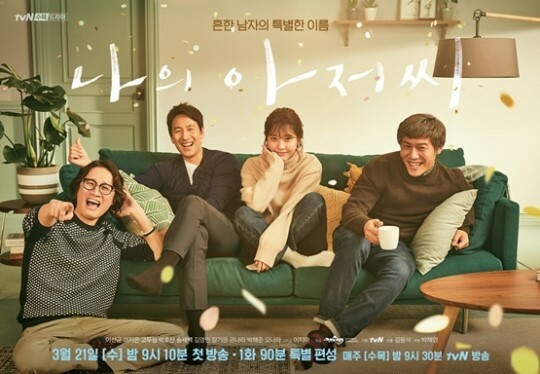 In fact, the drama faced its first problem with Oh Dal-soo’s #MeToo Movement involvement. It seemed like a smooth sailing after he stepped down from the drama, until it released the first episode. The first episode included a scene where a male character used rather brutal physical and verbal abuse against a female character without appropriate filtering. This scene led citizens to submit complaints to the Korea Communication Standards Commission. To clarify the violence scene from the first episode, they said that it will all resolve as the drama goes on. How will the audience react to these explanations and to the rest of the drama? We will see.